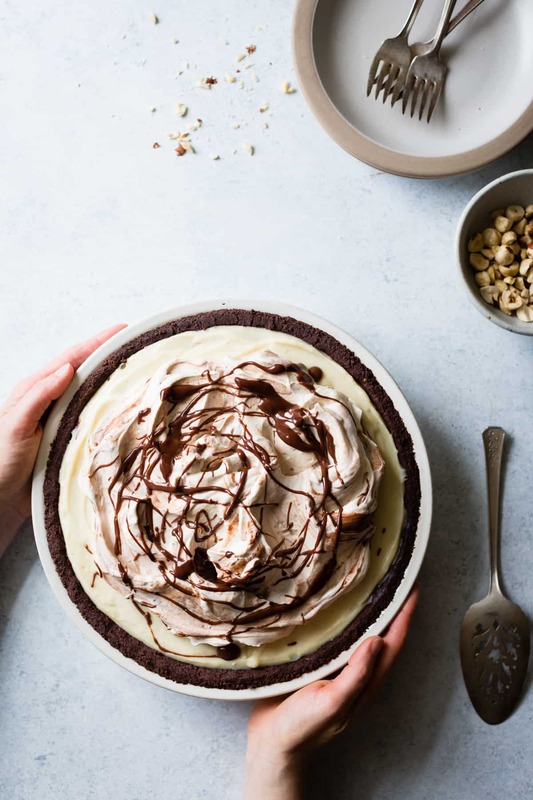 Four kinds of chocolate – cocoa, bittersweet, milk, and white – make a super creamy filling all nestled in a cookie-like hazelnut flour crust and topped with whipped mascarpone swirled with more chocolate. Adapted from Marbled, Swirled, and Layered by Irvin Lin. 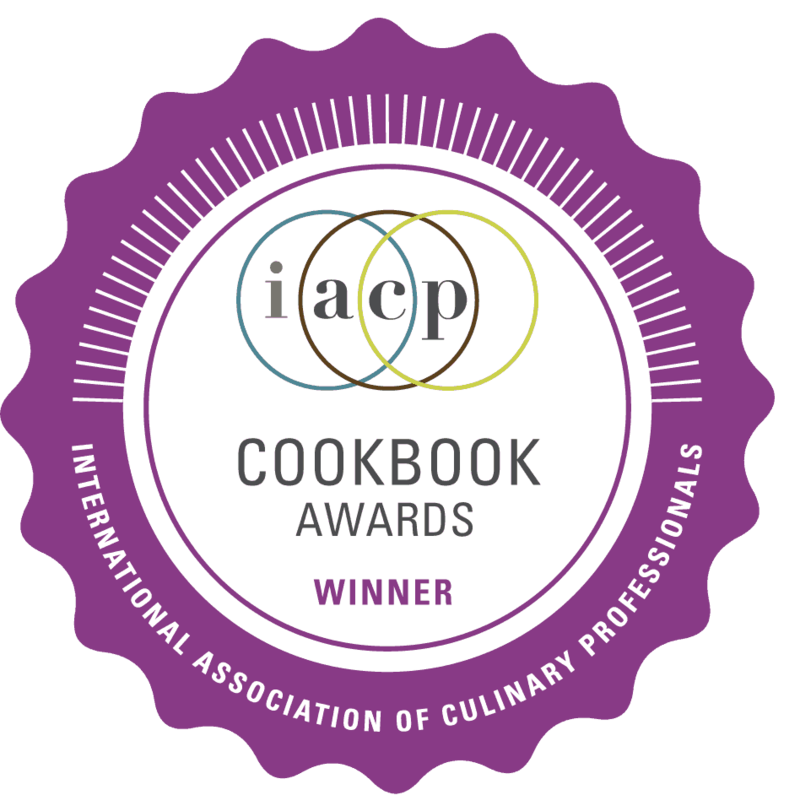 Today I’m sharing a recipe from MY favorite baking book of 2016 by IACP nominee Irvin Lin. I’ve been following Irvin’s blog Eat The Love for nearly as long as I’ve been blogging. I was searching for bergamot recipes one night, having tracked down some of the rare fruits at Berkeley Bowl, and this beauty popped up. I immediately fell in love with Irvin’s creative flavor combinations, beautiful photos, and the wit and humor he conveys in his writing. I spent a good few hours clicking through his posts, one of which contained photos of a Bay Area wedding at which a good friend of mine was also a guest! It’s a small world. After being a fangirl for so long, I’ve had the pleasure of getting to know Irvin IRL recently, where he’s every bit as awesome. It was Irvin who videoed IACP announcing Alternative Baker while he, Molly, and Jane cheered me on. I watched it about 50 times. 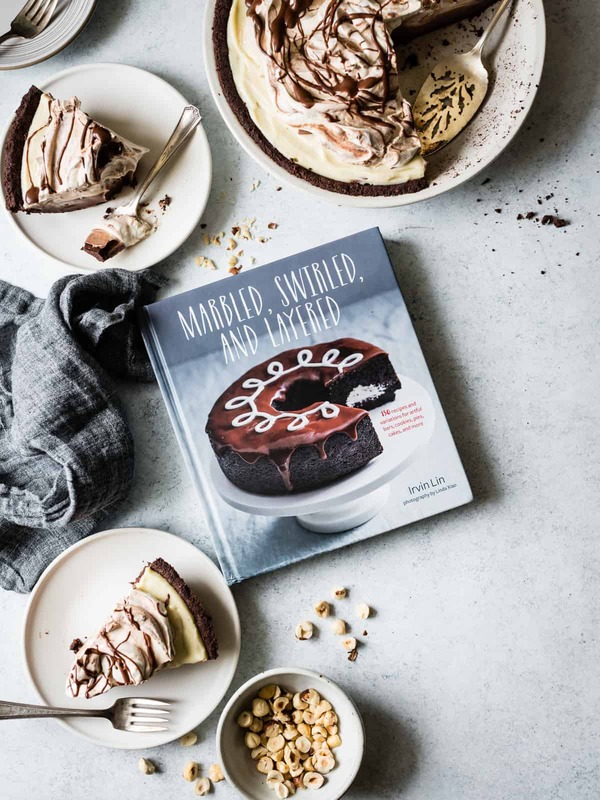 When Irvin’s gorgeous book Marbled, Swirled, and Layered arrived last fall, I ripped it open and began pouring over the recipes. I must have marked every one. I’d gladly pull a Julie/Julia and bake a work of art from Irvin’s book every day of the year. 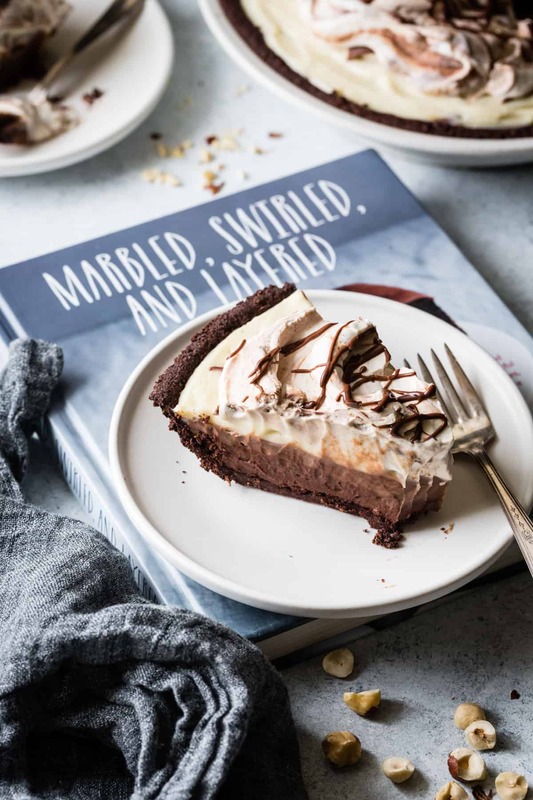 I’d start with the Honey-Lavender Cheesecake Bars, work through to the Rainbow Carrot Cake with Maple-Cream Cheese Frosting, and finish things off with the Vanilla and Peach-Bourbon Ice Cream Pie with Honey-Cornflake Crust. I want it all. 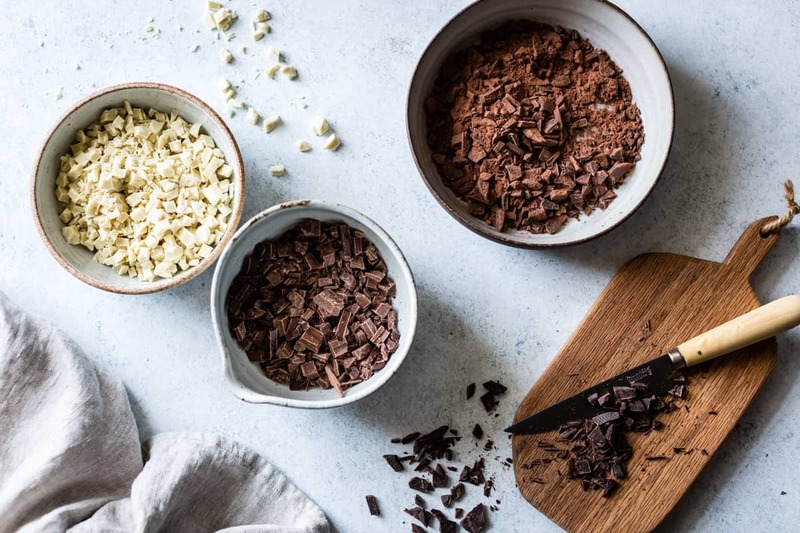 Irvin’s baking philosophy is to let the natural beauty of baked goods shine by creating organic swirls, layers, and marbling effects in recipes, while layering in compelling flavors and new combinations. There’s a shaker lemon tart that’s enhanced with fresh mint and a masa harina crust, a butterscotch and vanilla layer cake coated in a smoky lapsang souchang frosting, and brownies made with caramelized white chocolate and swirled with balsamic-roasted strawberries. When I page through the book, Irvin’s inventiveness, creativity, and attention to detail make me want to cry (and so does thinking about how hard he must have worked to develop all these recipes!) 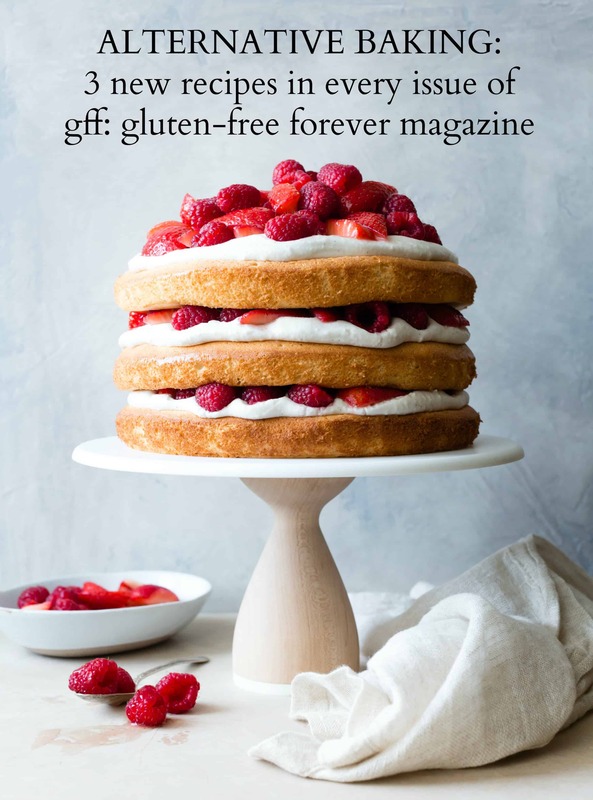 While most recipes use more traditional ingredients – butter, sugar, wheat flour, eggs, etc., – Irvin brings in alternative flours (such as teff and mesquite) and sweeteners (maple and honey) to add depth of flavor, and he lists a couple of GF flour blends to swap into recipes. Irvin’s characteristic writing style makes for a fun read, and he provides helpful little tips in each recipe, as though he’s standing right there in the kitchen with you, cracking jokes as you crack eggs. The photos, taken by one of my very favorite photographers Linda Xiao, highlight the beauty of the recipes. They’re simple and bold, with muted tones and simple textures that allow the food to star in each shot. In the original version, whipped cream gets stabilized with gelatin, but for a vegetarian option, I whipped some mascarpone in instead. I also accidentally added an extra half-cup of milk to the custard, so my pie was extra creamy, though thankfully still sliceable. I’ve included the original quantities below which should yield a firmer pie. Despite my flubs, this pie is well-loved. 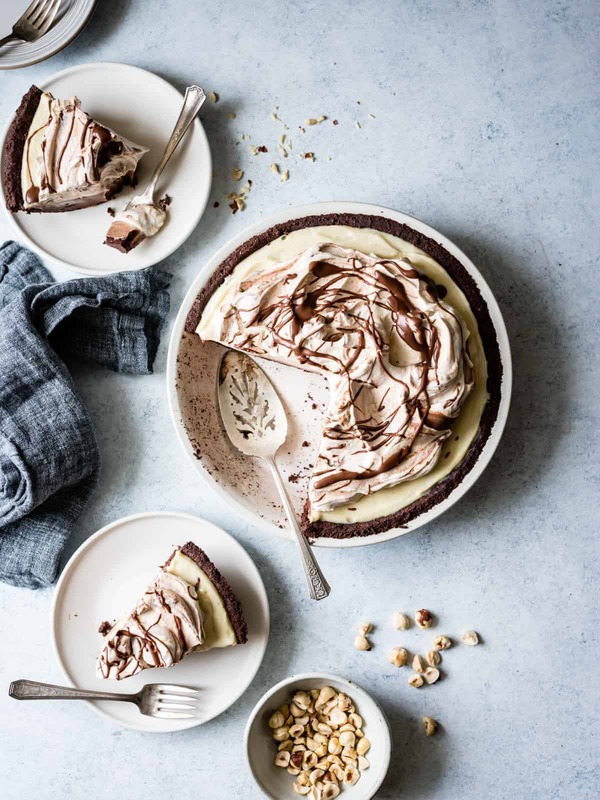 A crispy crust that smacks of cocoa and toasted hazelnut meets chocolate strata that capture the tastes of bittersweet, dark milk, and buttery white chocolate flecked with vanilla bean. 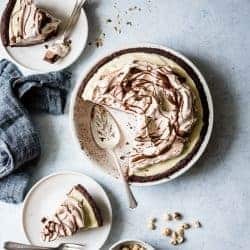 I can imagine other flavors sneaking their way in here – perhaps a shot of bourbon in the custard, bananas layered into the filling, or grass green matcha whipped into the topping. 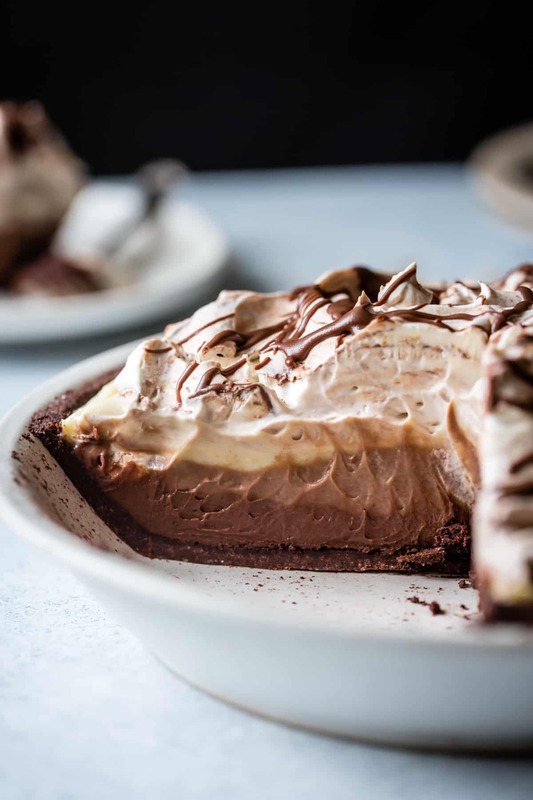 I can’t wait to try out more of Irvin’s divine recipes, and to make this pie for the next special occasion that demands a knock-out dessert. If you’re a baker who loves inventive flavors and gorgeous results, this book is a must. I plan to bake from it for many years to come. Adapted from Marbled, Swirled, and Layered by Irvin Lin. Feel free to swap in almond flour in place of the hazelnut if you like, or use a chocolate cookie crust. I made this in a 10" pie pan and I had a little filling leftover. 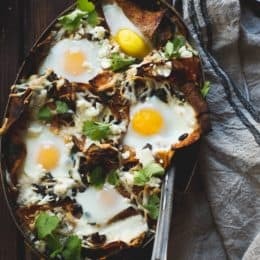 Use a deep-dish 9" pan if you've got one, or make this in a standard pie pan and layer the extra filling into a few small mason jars for snacking. 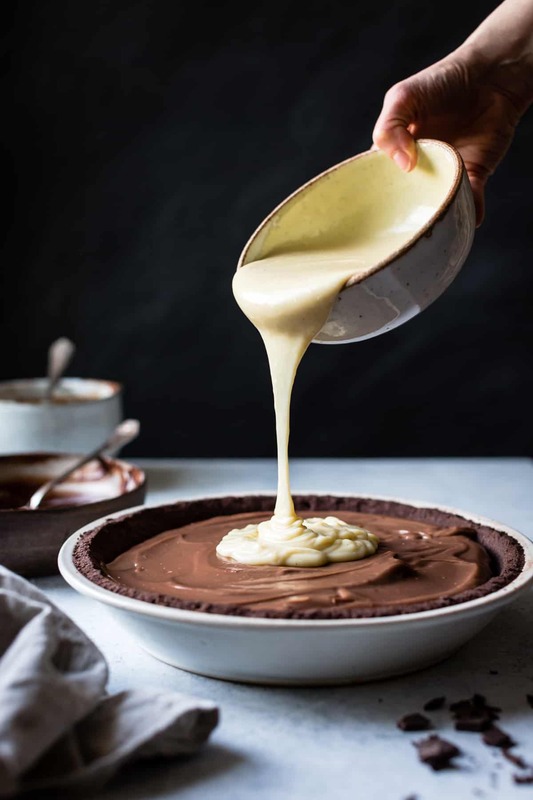 Dump the crumbs into a 10-inch pie pan (see headnote for other pan options) and press the dough evenly into the bottom and up the sides, starting with the sides and then moving to the bottom, keeping the edges square. (It usually takes me about 5 minutes to make it look pretty.) Chill until firm, 20 minutes. Place the pan on a rimmed baking sheet (to catch any drips) and bake until slightly puffed and firm to the touch, 20-25 minutes. Remove the crust from the oven and, while it’s still hot, press the sides and bottom with the back of a spoon. This will help it hold together when cool. 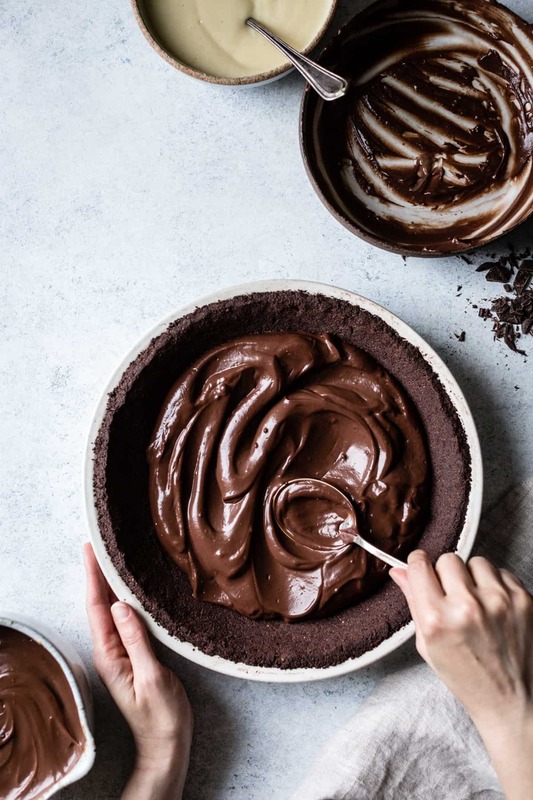 Place the bittersweet chocolate and cocoa powder in a medium bowl. Place the milk chocolate in another medium bowl. And place the white chocolate in a third bowl. In a large bowl, whisk together the sugar, cornstarch, egg yolks, salt, vanilla, and ¾ cup of the milk. Combine the remaining 2 ¼ cups milk with the cream in a large pot and bring to a bare simmer over medium-high heat, stirring occasionally. Remove from the heat and, whisking constantly, slowly drizzle the hot milk into the egg mixture. Return the custard to the pot and cook over medium-high heat, whisking constantly, until the custard is thick and just reaches a simmer, 5-7 minutes. Pour about one-third of the custard (about 450 grams) through a strainer and into the bowl with the white chocolate. Pour another third into the bowl of milk chocolate, and pour the rest into the bowl of dark chocolate. 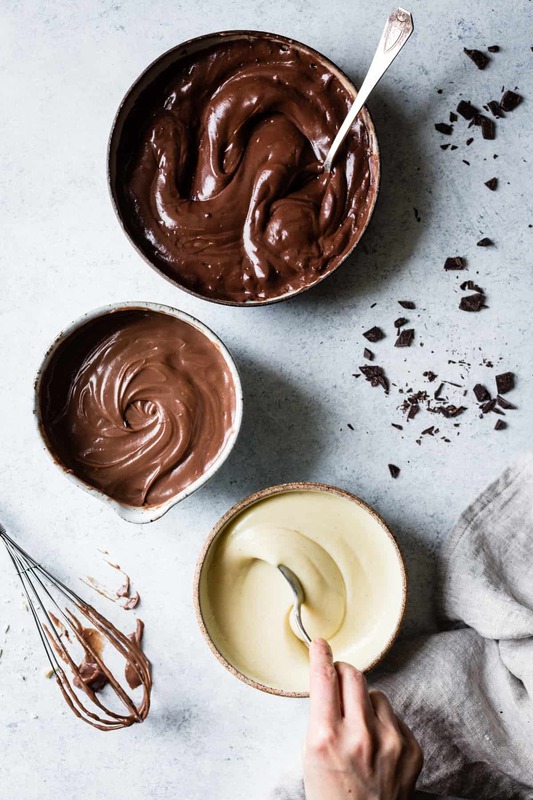 Stir each custard with a spatula until smooth, starting with the white chocolate, then the milk chocolate, then the dark chocolate (no need to clean the spatula if you work in this order). 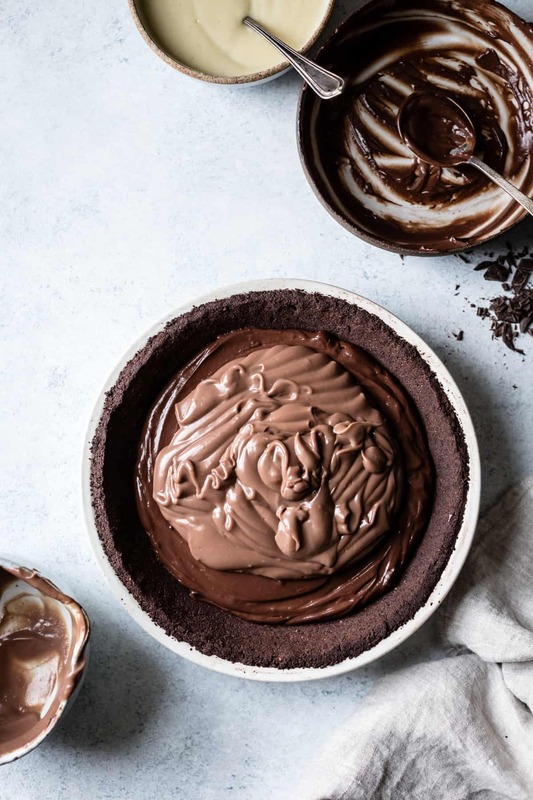 Spread the dark chocolate filling over the bottom of the cooked and cooled pie shell in an even layer. Spread the milk chocolate filling over that, and top with the white chocolate filling, spreading it into an even layer. Cover the pie with a piece of plastic wrap pressed directly to the top of the pie and chill overnight or until firm. Place the chocolate in a small metal bowl set over a small pot of barely simmering water, stirring to melt the chocolate. Stir in 3 tablespoons of the cream until the chocolate is smooth, adding more cream if needed. Let cool to room temperature. 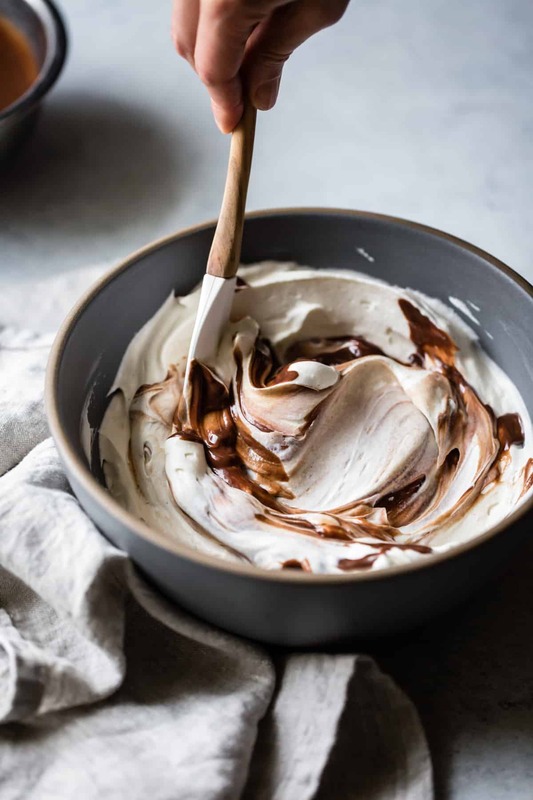 In the bowl of a stand mixer fitted with the whisk attachment, whip together the mascarpone and remaining cream until firm peaks form; err on the side of overwhipping so that the cream will be firm enough to slice. 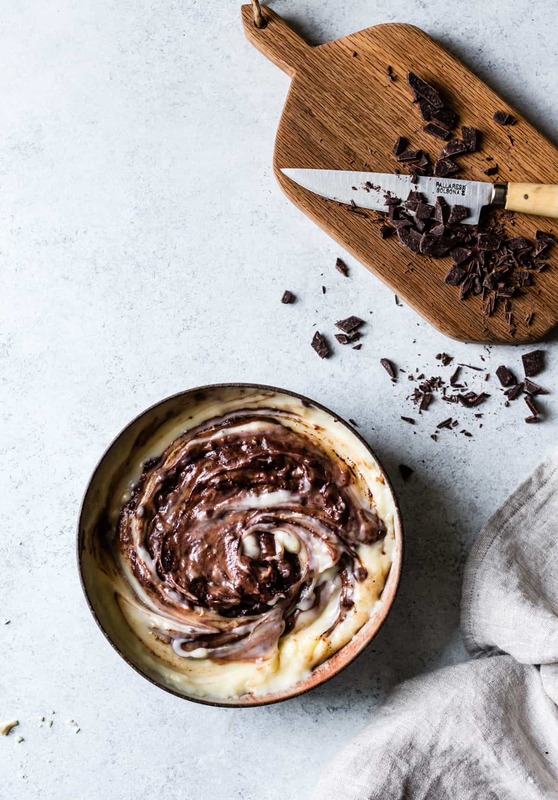 Remove the bowl from the mixer and drizzle the chocolate over the cream, folding it 2-3 times to create streaks. 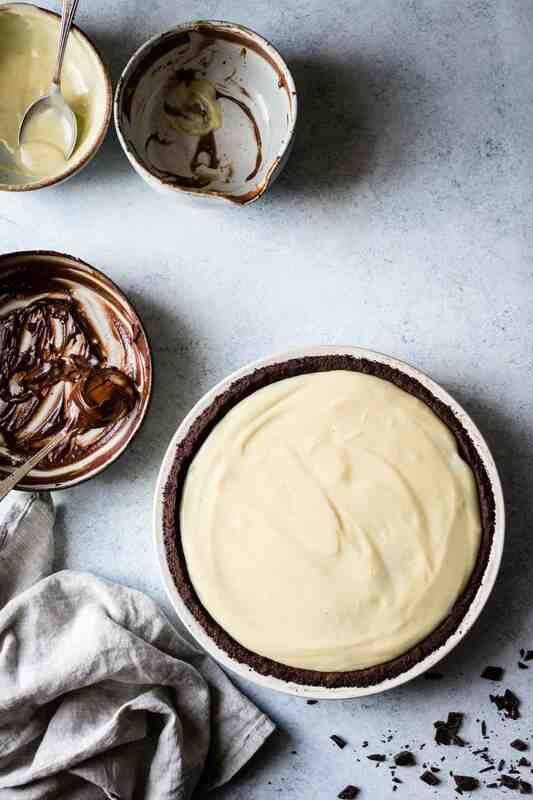 Spread the whipped mascarpone over the pie and chill until firm, 30 minutes. Drizzle the top with more melted chocolate if you like. Cut the pie into wedges and serve. The pie keeps well, refrigerated airtight, for up to 3 days. Looks really delicious. Would some buckwheat in the crust fit well here? Unfortunately my gf friend can’t eat chocolate because it worsens her autoimmune skin condition, though it actually hasn’t always been that way. Nowadays more and more people have to cut out beloved foods from their diet because of autoimmunity or allergies, there HAS to be an explanation for this. You could probably trade out cocoa powder for buckwheat flour. Let me know how it goes! Firstly CONGRATULATIONS!!!! 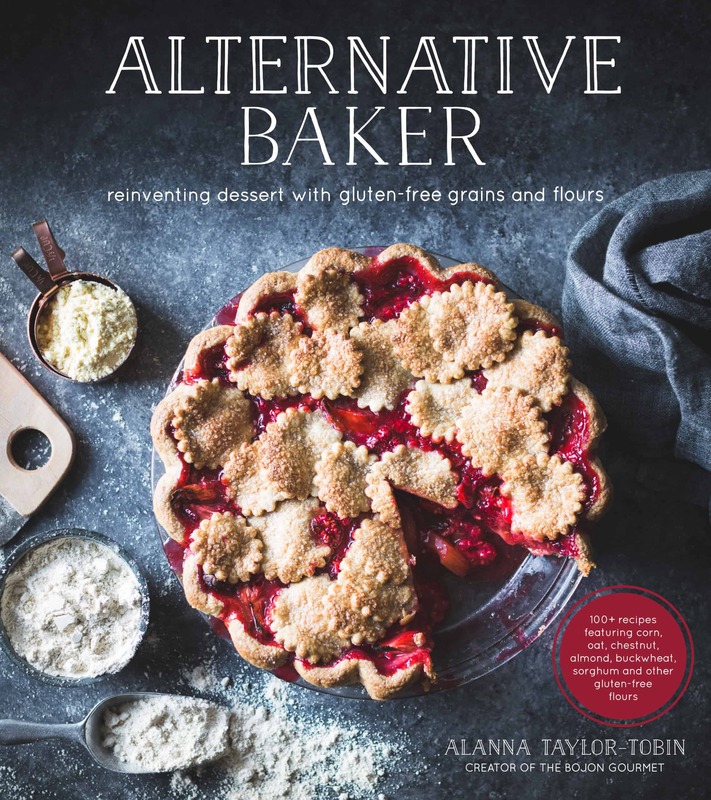 A very well-deserved win ‘The Alternative Baker’ is such a beautiful treasury of inventive and delicious baked treats! Secondly can we somehow bottle the ‘roasty-toasty chocolate scent’ because that is how I want to smell for the rest of my life. Thank you for the sweet words Amy! I’m so glad you like the book. I’d gladly spray myself all over with Eau De Roasty-Toasty Chocolate. ;) And I highly recommend the lock-yourself-in-the-study route with regards to Irvin’s pie! Alanna, you of all are so deserving. I am thrilled and Cheers to the beautiful book you created. Just love it. Loved this pie in all it’s glory and richness. Delicious pictures as usual. Yikes!! Thank you for catching that – updated! To answer your question, the book doesn’t say to cool the custards first; mine were thick enough to spread in (fairly) distinct layers, but I did spend about 10 or 20 minutes photographing them before I finished the pie. 2. I am totally fangirling over this cookbook too – I wanted to make so many that I decided to make a list and it’s a FULL PAGE LONG. The flavor combos are so inventive! He poured so much heart and time into this book. Thank you SO MUCH for all your help with the book – I’m so, so grateful! Thank you also for helping us eat this pie! I can’t wait to see (and hopefully eat!!!) what other deliciousness you make from/inspired by Irvin! Dessert potluck??? Congratulations!! Thanks for another beautiful pie recipe. My friends rave about my baked goods, your recipes of course, so I get to bake a share a lot. Can’t wait for the birthday at the end of March to showcase this beauty! Making the shopping list now and plan to party on Tuesday.. I will give full reviews. Hi Lawre! Oh jeez, it looks like a sentence got lost when I cut and pasted the recipe – thank you so much for catching that! The cocoa goes with the bittersweet chocolate. :) And yes, more of the white chocolate is needed to help set the custard since it’s so much softer than the others, so that measurement is correct! 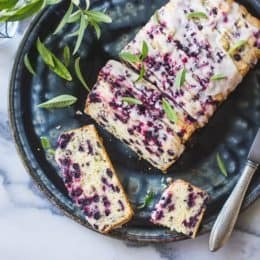 The original recipe calls for 6 ounces of white chocolate, but I found I needed more of the Green and Black’s brand to make it firm enough to slice when chilled. Great, that was what my gut was telling me, the dark had to be DARK! I had to add a little extra butter to the crust as it just would not stick together, even after 15 mins in the mixer… maybe because our humidity is so low right now.. but anyway, it did not melt into a puddle in the oven, so I hope it is good.. filling tonight..
First off – CONGRATS my most inspiring friend! I am shocked not at all, proud as punch and so thrilled for you. And Irvin’s book – how have I not yet gotten my hands on this babe? It sounds like pure decadence. The best laid plans can change, dang it… can this pie be frozen? I haven’t made the topping yet and now the bad party is next Monday, not tomorrow! Please, please say yes! Oh no! I’m sorry to hear it. I was going to say “definitely!” but I decided to ask Irvin. Here’s what he says: “So custard pies don’t really freeze well. I don’t recommend it. They will most likely separate and get watery when they thaw out. BUT if they want to try it, tell them to freeze the pie and make sure to thaw it in the fridge. The slow thaw will help keep it from breaking. But again, don’t recommend it.” Yikes! Let me know what you end up trying. Thanks.. I think we may have the party on Wednesday, due to the pie!, but even so I am going to try freezing a piece just to find out.. licking the bowls last night was so much fun. It is yummy, but boy is it rich. It needs black coffee.. hot and dark. I will let you know all the outcomes. So luscious and beautiful–I’m ready to dive right in! Also, congratulations!! I absolutely adore your book. I haven’t cooked from it yet but have read it in great detail, and the chestnut brownies are on the top of my list! I made this for a massive dinner party last night, I actually made 3 pies. The flavor was great and in general fairly easy to make, albeit a little time consuming, having to make 3. My primary complaint would be the topping. With the mascarpone in it this was very dense and way to heavy for the rest of the pie. It wanted to slide off as we cut slices. The other challenge I had was that the crust stuck to the bottom of my pie plate, making it very challenging to get slices out. I will make it again, as it was good but will just make whip cream topping. 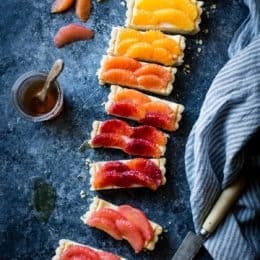 May also consider making in individual ramekins so that I don’t have to worry about removing slices.